To allow ample time for all scheduled patients and surgical procedures, we operate primarily by appointment. Emergencies will always receive top priority, in which case you may encounter a delay. If you believe you have an emergency, please call our office to notify us so our staff can be ready for your arrival. Please realize that we make a sincere attempt to see each client on time. Be sure to notify one of our Customer Service Representatives if you feel your wait time was longer than 20 minutes. We ask that you Please plan to arrive 10 minutes prior to your scheduled appointment and bring your pet's medical history to your first visit and complete our client/patient registration form prior to meeting with the doctor.Late arrivals and delays due to the registration process reduce the time available for the doctor to meet with you.If your pet is ill and seeing us for the first time, please bring any copies of recent test results, biopsies, other records, etc. Also please let us know your pet's most recent vaccination history.
. For your protection, and that of others, all dogs must be on a leash and properly controlled while in the waiting area or exam room. All cats must be in a secure cat carrier or on a leash. 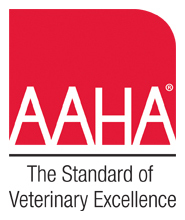 For the safety of all animals in our care, we require that all vaccines be up to date. Even though we make every effort to make our patients feel comfortable during visits, they may be a little uneasy about new people, new surroundings, and other pets.This is one of the reasons we ask you to restrain your pet. 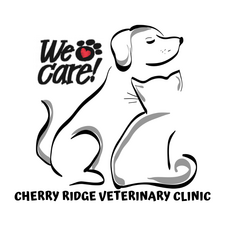 We ask that all pets be placed on a leash or in a carrier before entering the waiting room. If you do not have a method of restraint, please leave your pet in the car and come inside to get a leash or carrier. We would be happy to loan anything you may need to keep everybody safe! We also have cat carriers available for purchase. If you encounter a delay and will not arrive within 5 minutes of your scheduled appointment, please call us. We will try to accommodate you either upon your arrival, at a later open appointment, or at a later date depending upon the schedule for the day. Complete payment is due when services are rendered. We accept cash, check, credit cards, and Care Credit. We understand that particularly in unforeseen emergencies, budgets may be tight. That is why we always discuss an estimate for your pet's care before that care is decided upon, and in some cases can review alternative treatment options.